Windows Setup Remediation: How to Remove it? 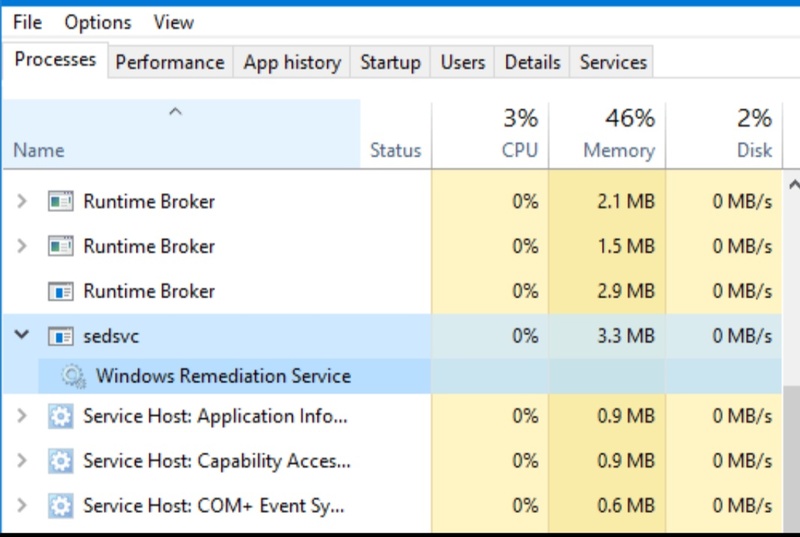 If you too have noticed a rather unknown process known as “Windows setup remediation” running on your task manager and are wondering what is it all about, well, we have got answers for you. In this article we are going to know all about this service and how to disable Windows Setup Remediation (KB4023057) . Read along to find out! Before moving forward with the methods to disable Windows Setup Remediation, let us first understand what it is. In case you are just interested in the method itself, feel free to skip this part straight to the ‘how to’ section. 1 What is Windows Setup Remediation (KB4023057) ? What is Windows Setup Remediation (KB4023057) ? If you open your Task Manager by pressing Ctrl+Shift+Esc simultaneously or go to the Programs and features page by following : “Settings -> Apps -> Apps & features” page or “Control Panel -> Programs & Features” page, you may notice the windows remediation service running as executable file sedsvc.exe present in “C:\Program Files\rempl” folder or Windows Setup Remediations (x64) (KB4023057)” or “Update for Windows 10 for x64-based Systems (KB4023057)” over there. The Windows Remediation Service or the Windows Setup Remediation was installed by the Windows update KB4023057. The purpose of this service is to perform reliability improvements to Windows Update Service components in Windows 10. It is inclusive of files and resources that address issues that affect the update processes in Windows 10 which might prevent important Windows updates from being installed. To be precise, these improvements helps to make sure that updates are installed on your device without any difficulty. Well, it is a service that you can disable without having issues. You can try any of the following methods to disable the windows setup remediation. Open Settings app from Start Menu. Or press WIN+I keys simultaneously. Now settings “Apps” icon from the Settings app. Click on the program name. Now finally, click on Uninstall button. Press WIN+R keys together to launch RUN dialog box. Now scroll down and look for Windows Remediation Service (sedsvc) and Windows Update Medic Service (WaaSMedicSvc). 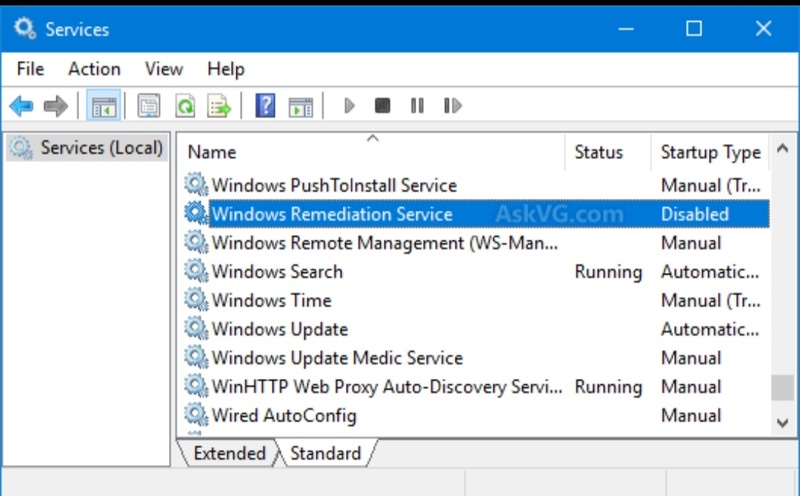 The “Windows Remediation Service” is set to Automatic and keeps running in Windows 10. Click on Stop button to immediately stop the service. Type taskschd.msc in RUN box and press Enter. It’ll open Task Scheduler program. Click on “Task Scheduler Library” in left-sidebar and navigate to “Microsoft -> Windows -> rempl” folder.Look for “shell” task in right-side. Press Delete key to delete it. Click on Yes button to confirm the action. Another method to disable this service is to block the service executables altogether from accessing Internet using your Firewall software or built-in Windows Firewall. After we do so the services will be unable to connect to Microsoft servers, hence ending the problem once and for all. 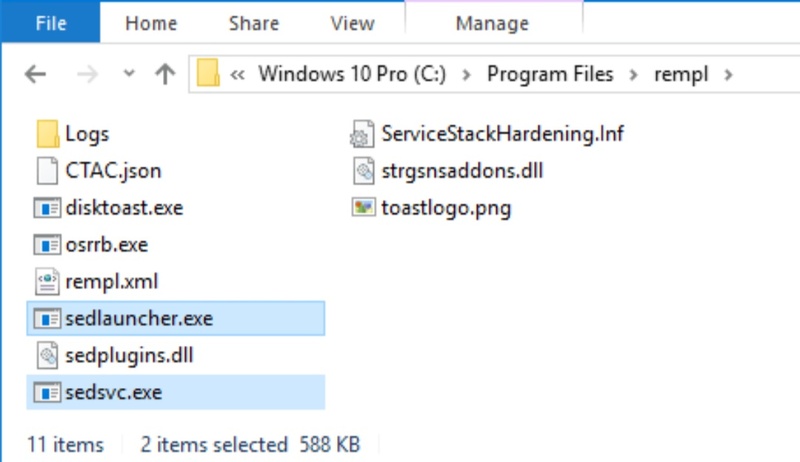 The last method to get rid of this issue is to delete or rename “rempl” folder present under “C:\Program Files\” folder so that Windows wouldn’t be able to find and launch the executable files. I hope that you were able to get understand how to disable Windows Setup Remediation. In case if you face any difficulty, please feel free to comment and let us know. We will get back to you as soon as possible.